The Pacific Ocean is growing more acidic at a much faster rate than anticipated, scientists say, putting everything from corals to mussels in jeopardy. Researchers say carbon dioxide from the atmosphere forms carbonic acid in the ocean, changing the seawater enough that it can dissolve the shells of coral and shellfish. The water off the west coast of Vancouver Island is changing at an unprecedented rate, meaning vulnerable life forms in the ocean's food chain must adapt or die. UBC PhD student Kathryn Anderson says sea urchins are one of the many species extremely sensitive to the changes now underway. "It'll hit the larval stage, it'll hit the fertilization stage, it'll hit the adult stage," she said. "Urchins are going to be hit from many different angles … this is stuff that we do know. Urchins will be highly negatively impacted." Tidal pools along the coast are home to a complex web of life, with dozens of species dependent on each other. "All the species we look at interact pretty tightly with each other," Anderson said. "A single species may be affected less directly by ocean acidification, but because another species that it consumes or consumes it is highly affected by ocean acidification, that can cascade down the food web, through connections of competition and affect the entire community structure. "People are only just starting to even consider these concepts." As ocean acidification continues, some species will die off and others will grow faster, creating an imbalance in the food chain. 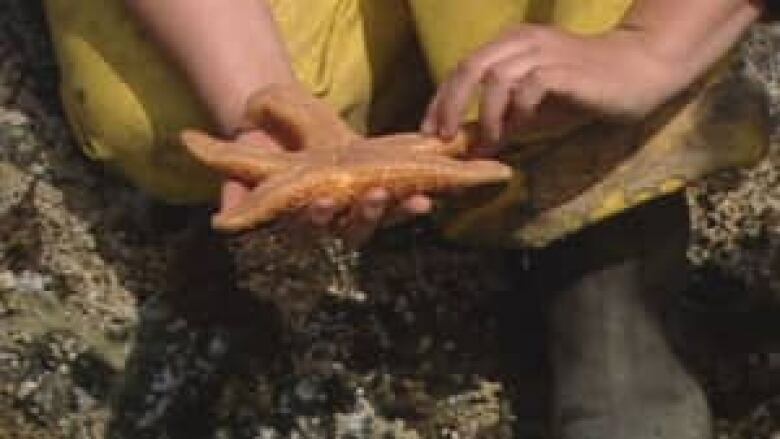 "Our top predator, the pisaster [a starfish], is pretty interesting," she said. "It has calcium carbonate in it but mostly in the form of spicules, and the research from our lab actually found that pisaster grow faster in response to ocean acidification and consume more. "And this is an interesting problem because their main food source are mussels, which grow slower in response to ocean acidification. So they're becoming more voracious carnivores, while their food source is having a harder time calcifying and growing." Near the Bamfield Marine Research Station on Vancouver Island, 60 artificial tide pools that Anderson constructed each form their own little ecosystem. She's pumping in different levels of carbon dioxide in order to determine how different species will react. "What I am trying to do is in one-third of my tide pools, trying to get a picture for what a tide pool is going to look like in 2100, and what tide pool our grandkids will look at," she said. "It's a spectacular environment, and the truth is we don't know if it is going to look like that. We will lose a lot of stuff. I don't think the urchins will be there at all." For some, that future has already arrived. Aquaculture is big business in B.C., supplying a steadily increasing percentage of the food supply. At Island Scallops near Qualicum Beach, scallops are raised from microscopic larvae. Two years ago, something all but wiped out a billion of them — nearly the entire year's crop. "In 2010, we couldn't grow anything, everything died," said Island Scallops owner Rob Saunders. "Every batch we put through the hatchery either died at day 10 or by the end of its larval life, which is about day 20, they were all dead. " Similar problems were popping up all along the Pacific Coast. Some blamed a mysterious disease, and those in the industry scrambled to test water temperature and salinity, but nobody considered pH. "I was trained at UBC, and we were trained that the ocean never changes," Saunders said. "It's the mother Earth, it's always stable and it hardly fluctuates, nobody was looking at pH." With creditors calling and his multimillion-dollar business on the line, Saunders came across a study detailing the effects of pH levels on fish. He altered the pH of the water and put some larvae under the microscope. "After we removed the CO2, I came in early in the morning, and I'm looking at the microscope ... and sure enough they were swimming around like mad, and then we knew we had it, and we haven't looked back since then." 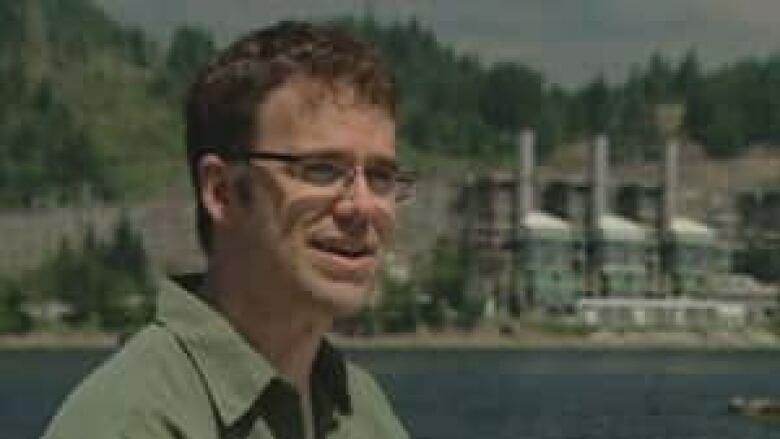 In Port Moody, UBC marine biologist Chris Harley and a student are conducting experiments to examine the effect of ocean pH on invasive species. "We're pretty that sure mussels are going to not do well, because they have to grow shells, which is hard to do when the water is acidic," Harley said. "The barnacles, every study seems to show the barnacles are almost immune to this, so they might be all right." Harley has students working up and down the West Coast this summer, doing some basic research. He believes the changes he's seeing are directly related to climate change — the CO2 long accumulated in the oceans is now making its way toward shore. "You have a power plant ... when it needs to be turned on, to generate extra electricity, it's burning natural gas, which is putting carbon dioxide into the air," Harley said. "That carbon dioxide ends up in the ocean ... where it changes the pH of the water — and that's where it starts to create trouble for the plants and animals that live there." There is debate about the role humans play in ocean acidification, but there's no doubt acidification is happening. Adjusting pH in the controlled setting of a scallop farm is relatively easy, but changing it for the entire Pacific Ocean is next to impossible. Harley says the science suggests we're in a period of mass extinction. "It's highly likely we are in that scenario now. It's not just ocean acidification," he said. "It's also overfishing combined with warming, combined with acidification, combined with lots of other things, and all of these changes happening so quickly and happening all at the same time is pushing these species past where they can rebound when their populations get knocked down. "So over the next 50 years, we should probably see a lot of species go extinct in the sea." Scientists are seeing changes in their own lifetime that in the past would have taken thousands of years. Researchers are struggling to catch up — monitoring changes, trying to determine just how bad it will get and finding out which species will be the first to go.